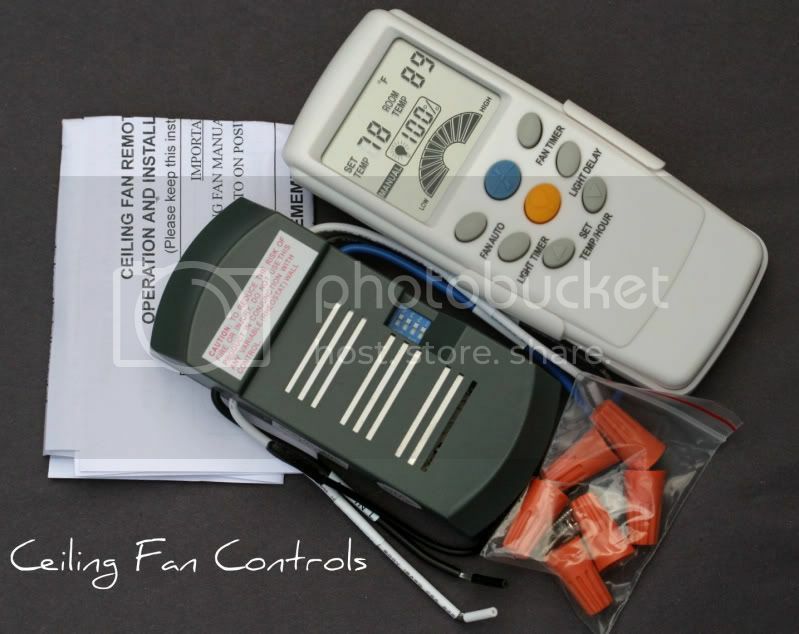 This kit is specifically made for Hampton Bay and Harbor Breeze fans but works with almost all regular ceiling fans without remote. The kit includes the LCD Remote, receiver, wire nuts, wall mount screws and instructions. 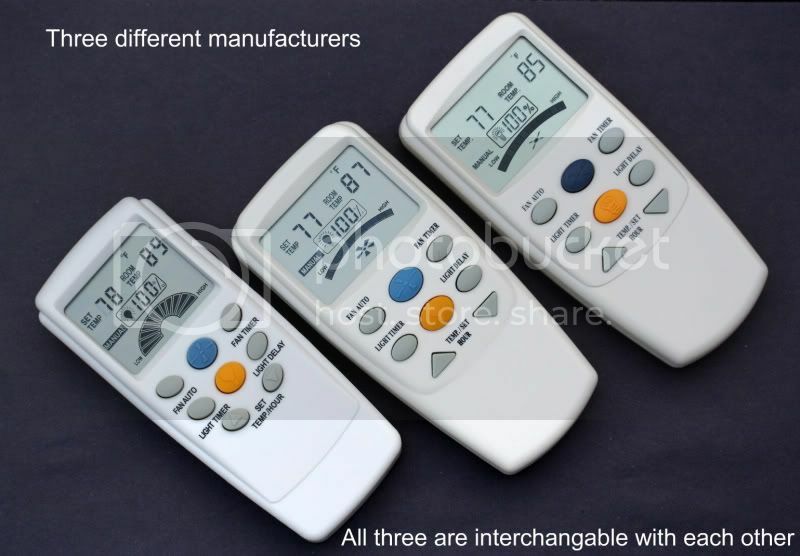 Among many other features this remote has a built in thermostat that allows you to set the temperature and will adjust the fan speed to reach that temperature (will automatically increase and decrease the fan speed). Requires 4 AAA batteries (not included). Full 30 day money back if not satisfied (less S/H). buyer pays return shipping.